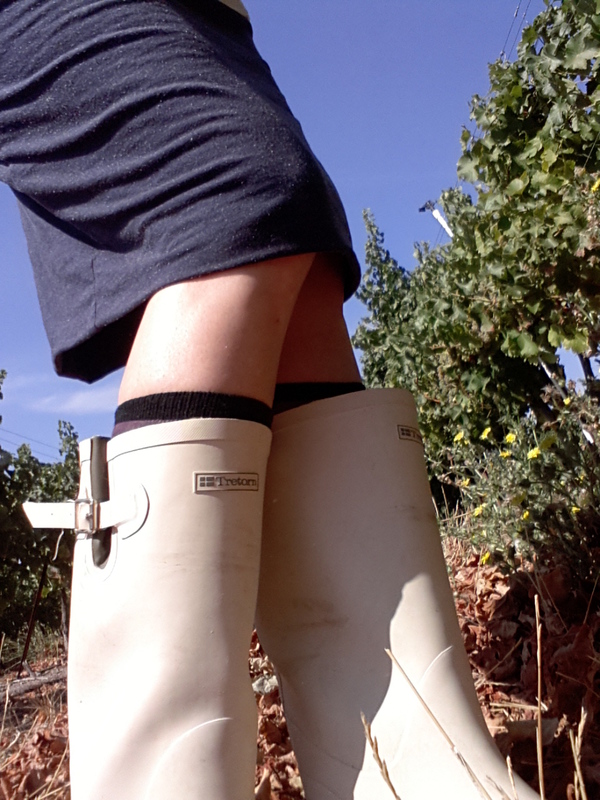 One nagging worry had been: What if I’m not a great winemaker? What if I f*ck up? I’ve assisted my boss in the creation of wines, including this one, of which I’m proud. I’ve also done plenty of supplemental studies in wine. Yet I’ve not followed any traditional path toward winemaking as a profession. Mine has been a zig-zag route. There seems to be a ritual around what gives you street cred as a winemaker: First, you work a harvest or ten, preferably internationally. Eventually, you mentor with a truly badass winemaker who takes you under his/her wing. If you are lucky, that person lets you make your own wine. You launch your own brand to screaming success. (All of this happens, or, you buy your way into the business. Sorry, but it happens.) You have arrived! Me? I have still never worked a full, committed harvest. Partly, this has been due to the fact that I have epilepsy and cannot drive a forklift—a central skill to the job. That will never change. More key is that my boss has claimed my communication skills are more valuable than my tank-cleaning skills. He needs me in the office to help manage the business. Meanwhile, I gather what I can from every department, weaving together bits of wine savvy to help better operate the company. It’s a nontraditional path. Some would say that a nontraditional path goes nowhere. Know what I finally decided about this? To hell with it. Growing up, I was a painter. Through college and beyond, others saw me as an artist. Yet I never believed this made me different than anyone else. “Everyone’s an artist,” Joseph Buey’s famously proclaimed back in the 1969. We all have creative capacity. When I taught art, this principle was central in my classroom. The wine industry is not so quick to embrace this idea. Winemakers are deemed “rockstars”. Are there “outsider” winemakers? Sure, although I can’t think of any off the cuff. Overall, it is a protected profession, and highly inaccessible for most folks. I’ve never really been down with this. I appreciate high art, but everyone deserves a taste of beauty. Dontcha think? I’s true that creative capacity (in Bueys’s terms or mine) doesn’t automatically make anybody an artist. There is something to be said for mastery, for dedicating oneself to the craft. Winemakers get this, to be sure. Yet there is also something to be said for instinctive, spontaneous expression. No matter the medium, when an outsider comes in and tears up the scene, it pisses off those who’ve been slaving away for years. 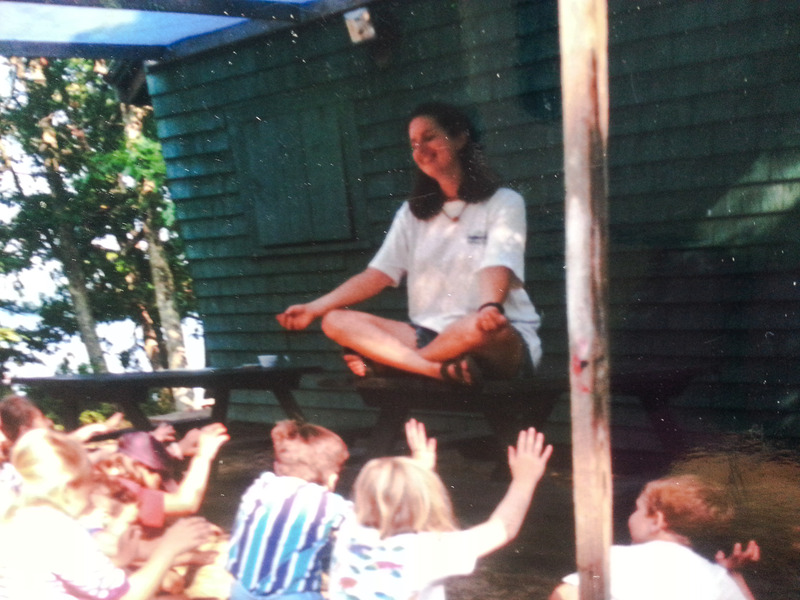 At the summer camp where I taught art back in the day, my co-counselor and I staged a mini-drama with the lesson to “worship your inner artist” . Here’s me on the picnic-table with the kids worshipping me. Everyone got a turn on the throne! Undertaking a project and knowing you’ll be judged every step of the way–by colleagues, by critics, and by the very audience you intend to please–is gut wrenching. Yet it’s the fear we must face, from time to time. And it’s no reason to hold back. So, let’s do this! Since I’ve begun this project, I’ve been plain giddy. I can feel myself reconnecting to something essentially creative in me. I am making something! Surely some beauty will come from these efforts. Next year, I hope to raise a glass of Grenache with you all.